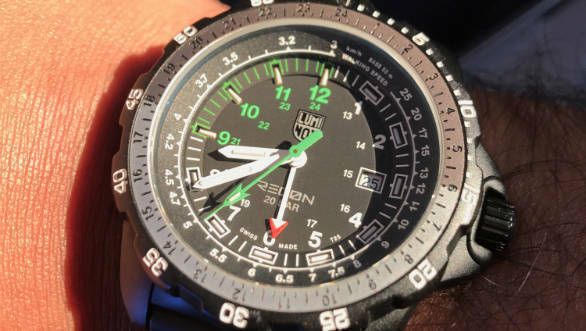 Rugged watches interest automotive journalists given our outdoorsy lifestyle and the NAV SPC 8830 series from Luminox is one such collection. I used the XL.8831.km for a few weeks and it isn't just tough, but also surprisingly light thanks to its carbon reinforced case and comfortable enough to be worn every day. In fact I've slept off with the watch strapped to my wrist and woken up without any discomfort, thanks to the soft rubber strap. That said, the watch construction is tough. The case wears a matte finish, which along with the sapphire crystal glass complete with an anti-reflective coating ensures any nicks don't result in scratches. Oh, and there's 200m water-resistance too. At 46mm, the dial is pretty big and should appeal to those who like large watches. 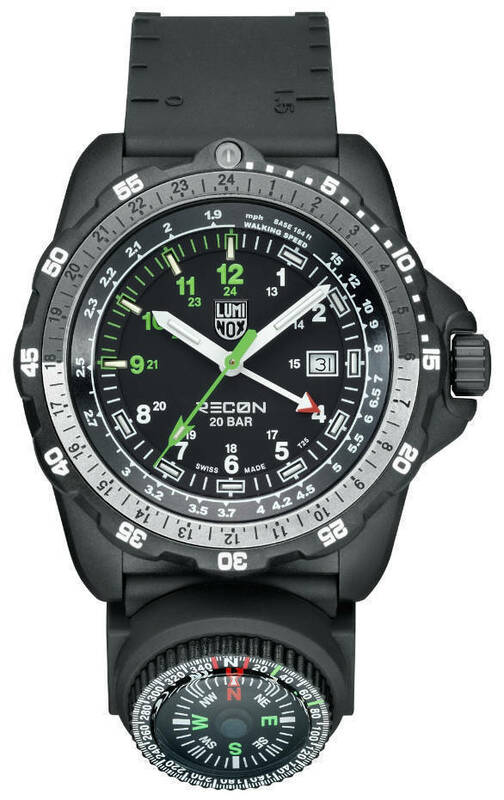 The Recon series was devised for those going on a tactical reconnaissance and the watch can also tell your walking speed by using a dedicated scale on the dial. It can tell you the time required to cover a set number of footsteps, thereby letting you calculate your walking speed. There's a cool backlight that stays on all the time and offers diffused illumination which looks soft and soothing. I'm told it has a lifespan of 25 years! An external compass sits on the strap, but its design doesn't really go with the watch. Thankfully you can slide the compass out and the watch looks sleeker without it. Additionally, the straps have a ruler scale for measuring distances, perhaps on a map, in inches, centimetres and kilometres. More importantly, the 8830 allows you to set two time zones  one is the time you set like any watch using the hour and minute hands, while the fourth hand can be set to point a different time on the day/night, unidirectional rotating bezel. This helped me when travelling abroad to set the local time and also the time back home in India. I took a liking to the watch thanks to its comfort, lightness, functionality and also the fact that it isn't too flashy and is a purpose built watch that does what it promises.